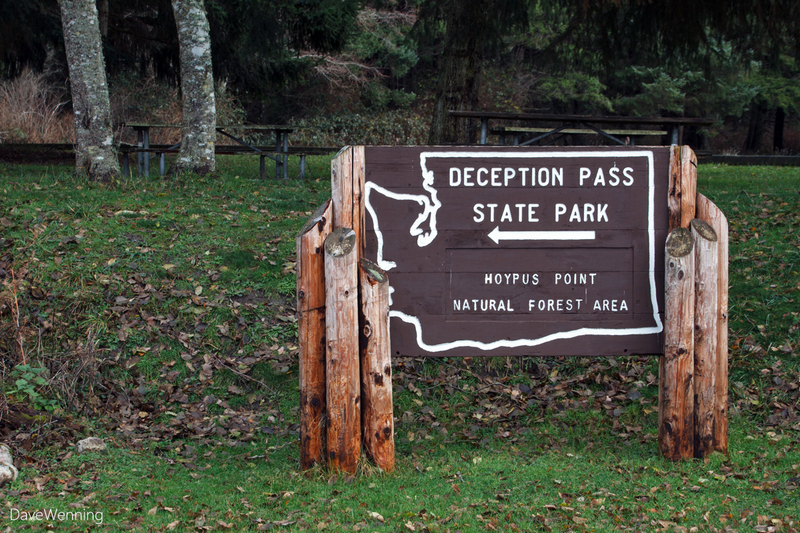 First Day Hikes have become an annual tradition in Washington state parks. 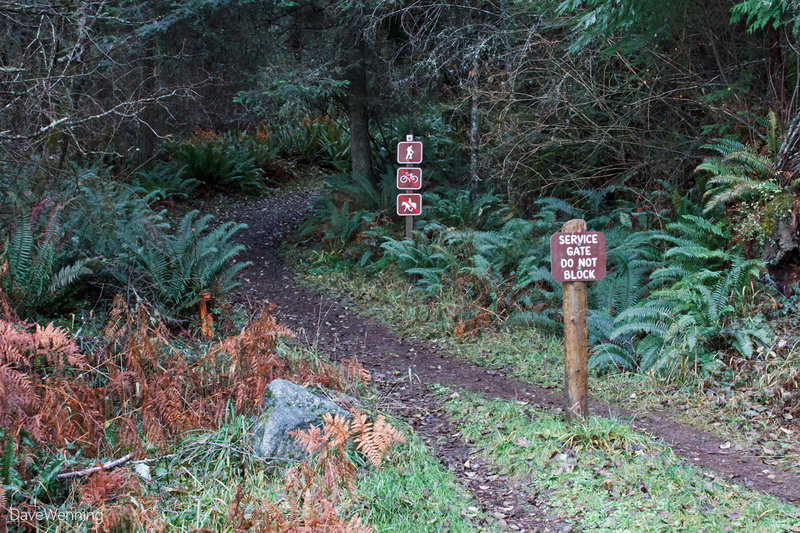 For 2016, I counted twenty-eight hikes planned throughout the state. 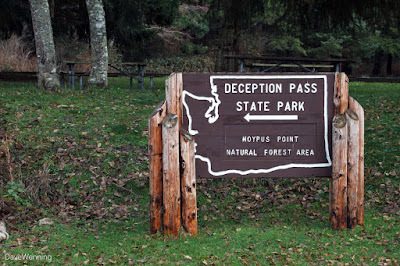 The hike at Deception Pass State Park this year will be out to Hoypus Point. For me this will be Terra Incognita. 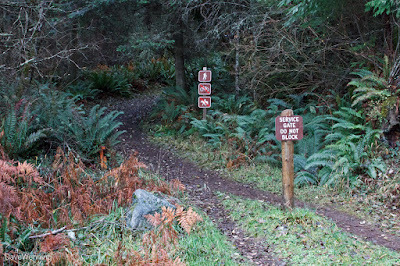 This is a section of the park I have not yet explored. I am really looking forward to the hike on New Year's Day with knowledgeable guides. I don't know the exact route we'll be taking, but I believe we will set off that-a-way. 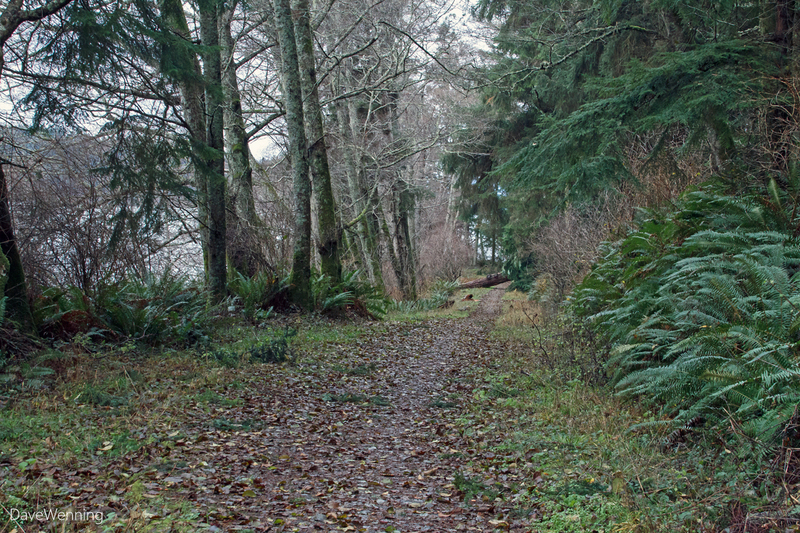 To preview the hike and get my bearings, I ventured out the Cornet Bay Road trail to the end of Hoypus Point. The route I hiked began as a paved road. Where the road ended, a wide, comfortable trail continued out to the end of Hoypus. For the entire course, there was not a single hill to climb. It was easy hiking on level ground the entire way. Even with the torrential rains we have been experiencing, there was only one small section where the path got a bit muddy. 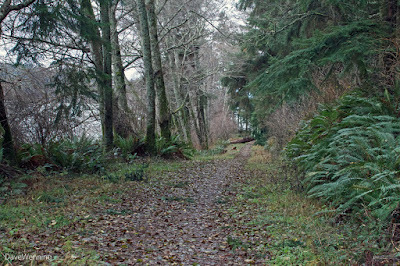 A big Douglas Fir had fallen across the trail (you can see it ahead in the photo), but it was easy to scramble under it. There were several spots along the way where the Deception Pass Bridge could be viewed. For the best viewpoints, look for the memorial benches. Don't forget to bring your camera. I found two more trail heads on my route. This one is the West Hoypus Point Trail according to the map. The other was the East Hoypus Point Trail. I see there is a connection between the two called the CCC Crossing. My curiosity is whetted. Yesterday brought a dark overcast, but I didn't get any rain on this hike. 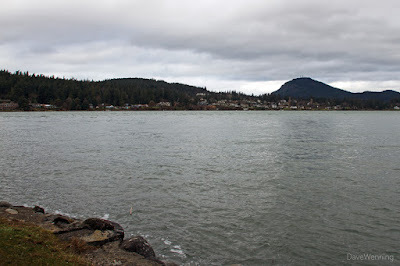 At the end of the trail, Mount Erie and the Dewey Beach community on Fidalgo Island came into view. Looking northeast, I could see Skagit and Kiket Islands in Skagit Bay. Hoypus Point on Whidbey Island and Yokeko Point on Fidalgo mark the inner gateway to Deception Pass from Skagit Bay. On my way back out, I was serenaded by a Raven. 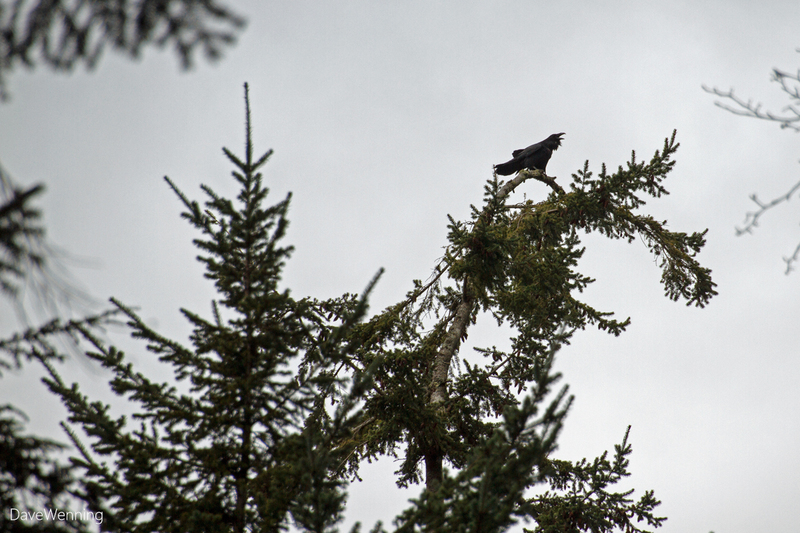 According to local lore, Raven created this world and gave it to us as his gift. I also met Pacific Wrens, Northern Flickers, Belted Kingfishers and from the tree tops, I could hear Bald Eagles calling. 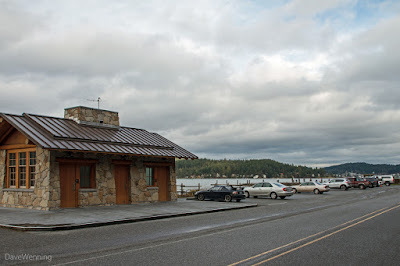 For this year's hike, meet at the State Park docks at Cornet Bay on Whidbey Island, Friday, January 1, 10:00 a.m. I am reading that the hike will take place rain or shine, so dress for the weather. 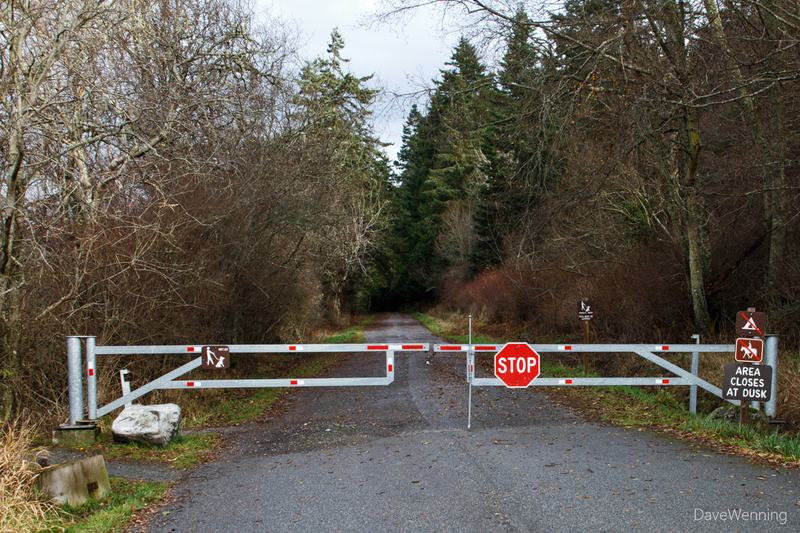 A Discover Pass will not be required on New Year's Day. Actually, the weather has been perfect for all four previous hikes. 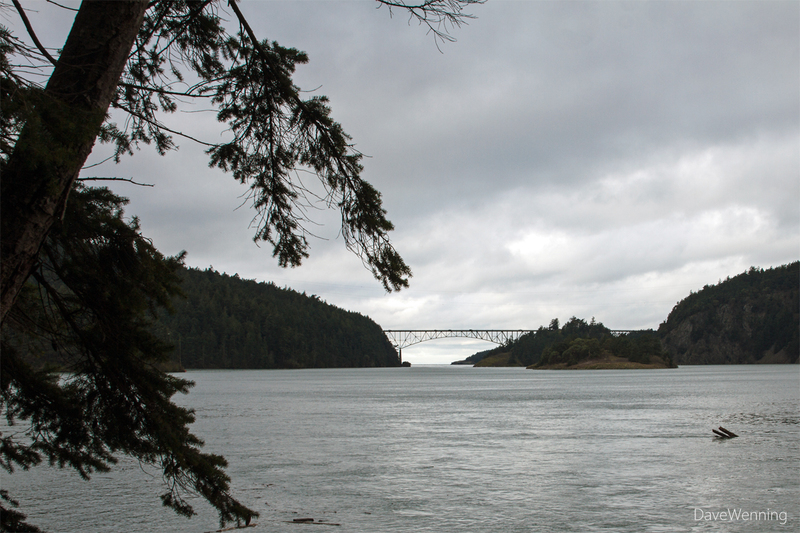 Deception Pass is in the Olympic Rain Shadow, so I am expecting a cold but rain-free morning. I will see you there. If there is a cancellation, it will be posted at the Deception Pass Park Foundation website.